Welcome to personal homepage of Prajit! Product Owner and Software Engineer @ Cisco Systems Inc. I am a Software Engineer for Cisco Systems Inc. I work in the team that develops the Firepower product suite. I design, develop and test various solutions for Cisco's product. 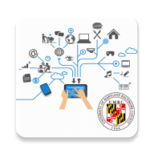 I completed my doctorate in Computer Science from the University of Maryland, Baltimore County (UMBC). I was a member of the Ebiquity Research Group. My advisor was Prof. Anupam Joshi and my co-advisor was Prof. Tim Finin. 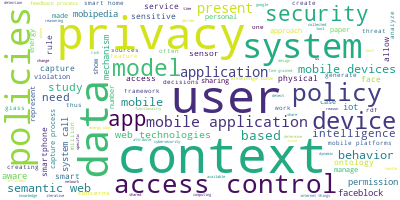 My dissertation topic was: Context-dependent privacy and security on mobile devices. I have research experience in the areas of mobile computing, machine learning and semantic web. I am adept at mobile app development as well as web development. I am interested in research positions and new ventures in the mobile domain or in the area of machine learning. 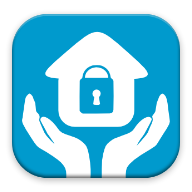 Doctoral research work with the goal of achieving context-driven access control on mobile platforms. 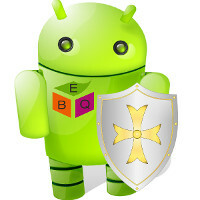 Created privacy control systems on the Android platform for protecting user personal or sensitive data. Data analytics project with a goal of identifying areas of accuracy improvement for Siri. Development of server side scripts for reporting automated test results of nightly builds of Symantec products. Worked as designer, developer, offshore team lead and billing estimation expert for telecom project. I am a software engineer and computer scientist with extensive R&D experience in the mobile computing domain. I have held positions with varying levels of responsibility including software engineer, engineering team lead, project auditor, research assistant and teaching assistant. The highlights of my skills are listed below. Additional reviewer and PC member for Emerging Applications of Information Technology. See EAIT 2014 webpage for more details. Awarded the Student Travel Award for 2270 USD for presenting a paper at the PrivOn workshop in the 15th International Semantic Web Conference (ISWC), 2016. Awarded the NSF Student Travel Award for presenting a paper at the SmartSys workshop in the 2nd IEEE International Conference on Smart Computing (SMARTCOMP 2016). Awarded the Student Travel Award for 1427 USD for presenting a paper at the MoDeST workshop in the 14th International Semantic Web Conference (ISWC), 2015. Awarded the Student Travel Award for 2200 USD for presenting a paper at the PrivOn workshop in the 13th International Semantic Web Conference (ISWC), 2014. Chair of the UMBC ACM Student Chapter. See ACM Blog for more details. Treasurer of the UMBC ACM Student Chapter. See ACM Blog for more details. Co-Organizers of hackUMBC, first one day hackathon for students at UMBC. See hackUMBC.org for more details.